New Zealand Wine - New Zealand Beef & Wine, Restaurant "Grill Teru." As too much favorite wine, "ATA RANGI" Pinot Noir wine is running short. This winery founded by Clive Paton and his family in 1980. ATA RANGI means as "New Beginning" or "Dawn Sky" in Maori language. It gets a glowing worldwide reputation and has a rumor as its cause as the Martinborough Grape Clone. Some years earlier, one custom officer who had a his own winery also, confiscated some nursery stock of a grape "Romanee Conti" from a tourist, and put it in a quarantine by himself and planted it in his own vineyard. Mr. Paton, he has been working at that vineyard, and spared it to. He made effort to make it to be fit in his land and completed "ATA RANGI." The DNA identification in recent years, defined it as having a same origin of the Romanee Conti. Romanee Conti wine has a price as 2 million yen a bottle in same cases, but this ATA RANGI market price is about 10,000 yen despite in a short supply, and in our restaurant, we serve ATA RANGI around 12,000 yen. 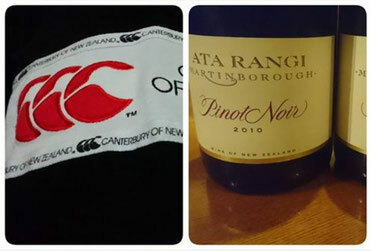 If you favor Pinot Noir, please try the New Zealand Wine once. We got the lecture by JETRO for the New Zealand food stuffs available to import and expected stuffs having availability later. 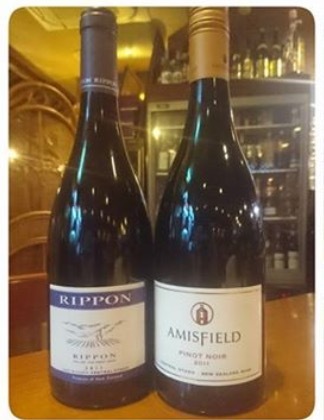 We got two bottles of wine as "RIPPON" and "AMISFIELD." Central Otago with the only continental climate is at the south island of New Zealand and RIPPON winery, one of the big wineries, is located there. One worker has been Romanee Conti winery. "AMISFIELD" is a favorite wine by late Kyosen Ohashi, one of eminent actors in Japan. 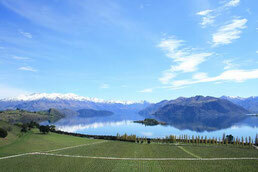 We are filling our wine list enough with New Zealand Wines. 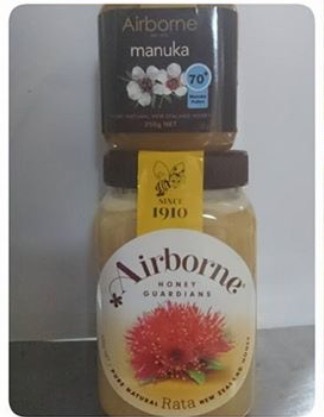 The photograph above is a honey, Manuka Honey is a efficient medicine for killing a helicobacter pylori. If its purity will be over 40%, it will be not suitable for a food ingredient. This also efficient medicine for external injuries. MANIKAMED which is selling in New Zealand is an excellent ointment.